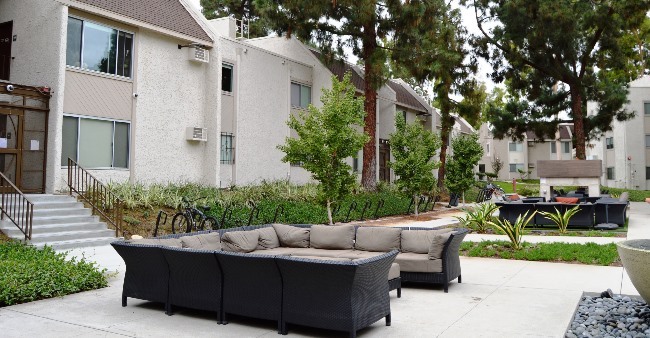 Cardinal Gardens is an extremely popular apartment complex consisting of nine individual townhouse-style buildings and a Customer Service building, all connected by winding, tree-lined walkways and surrounding a large furnished, hardscaped courtyard. 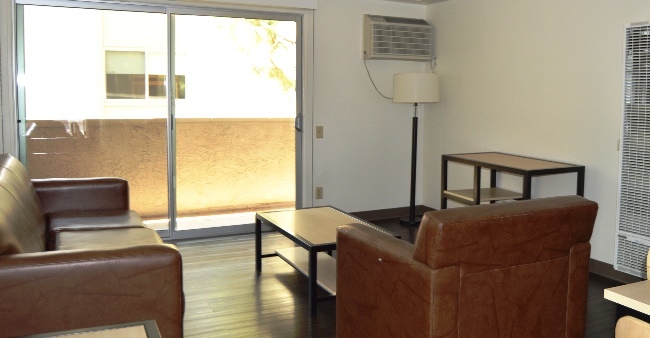 This energetic community is home to both upperclassmen, as well as a limited number of freshmen, housed in fully furnished one and two-bedroom apartments. 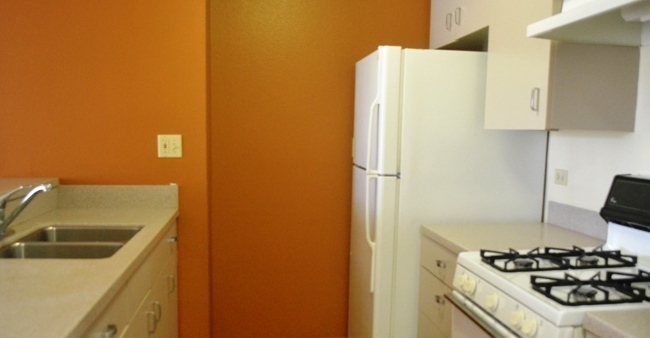 Each apartment has a large full kitchen and bathroom and a spacious, air-conditioned living room. 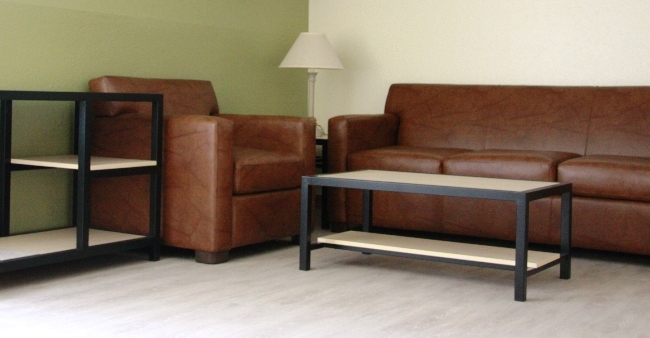 All units are fully furnished with modern furniture and laminate floors. 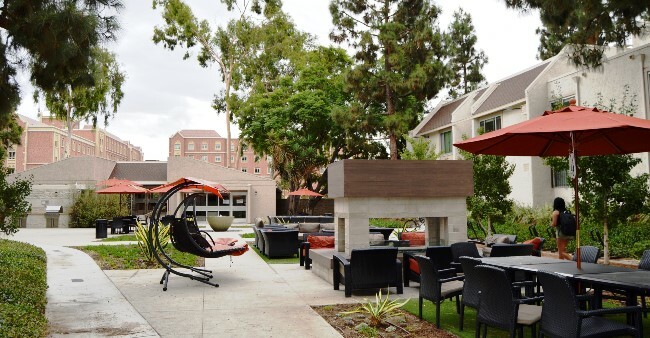 Located on the north side of Jefferson Boulevard, Cardinal Gardens is across the street from campus and near to both the Lyon Recreation Center, the USC Village Fitness Centers and the rest of the amenities of the USC Village. 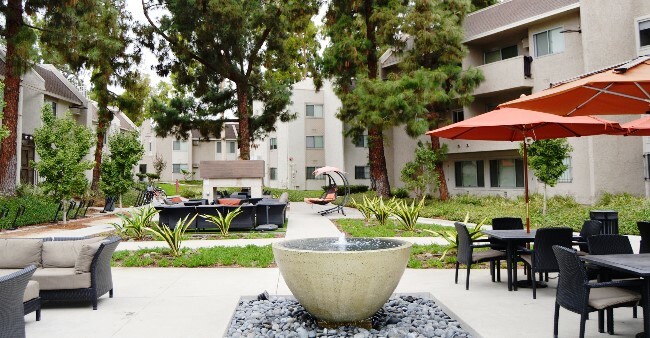 The newly attractive central courtyard provides a great gathering place for residents, where they can relax around the modern fountain in comfortable couches and chairs, grill on two gas barbecues, or spend a quiet evening sitting next to the large outdoor fireplace. Residents also enjoy playing on the basketball half-court. For indoor entertainment options, the complex has a lounge in the customer service center, with a 70 inch flat screen TV, and pool and foosball tables. 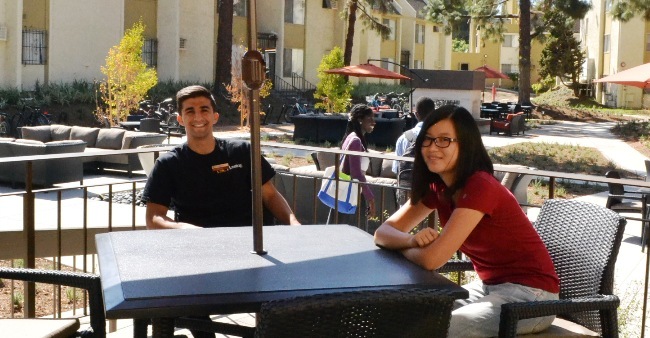 Residents have a mandatory partial meal plan that can be used at the USC Village Dining Hall, as well as other USC Hospitality outlets. Cardinal Gardens has a large parking lot surrounding the buildings located within the complexes gated and walled perimeter. Permits are purchased from USC Transportation. 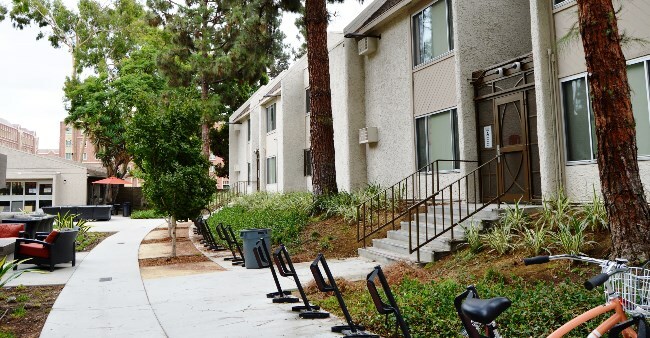 Secure bicycle racks are conveniently located throughout the facility.